Qatar Airways' chief executive Akbar al-Baker attends a function in the Australian capital Canberra Tuesday, Feb. 13, 2018, marking the airline starting daily flights to the city. The head of Qatar Airways apologized on Tuesday after suggesting that only a man is capable of doing his job as chief executive of the airline. Qatar Airways CEO Akbar Al Baker reportedly made the comments after a reporter asked him about the lack of gender diversity in the Middle Eastern aviation sector, saying his position would be much too challenging for a woman. 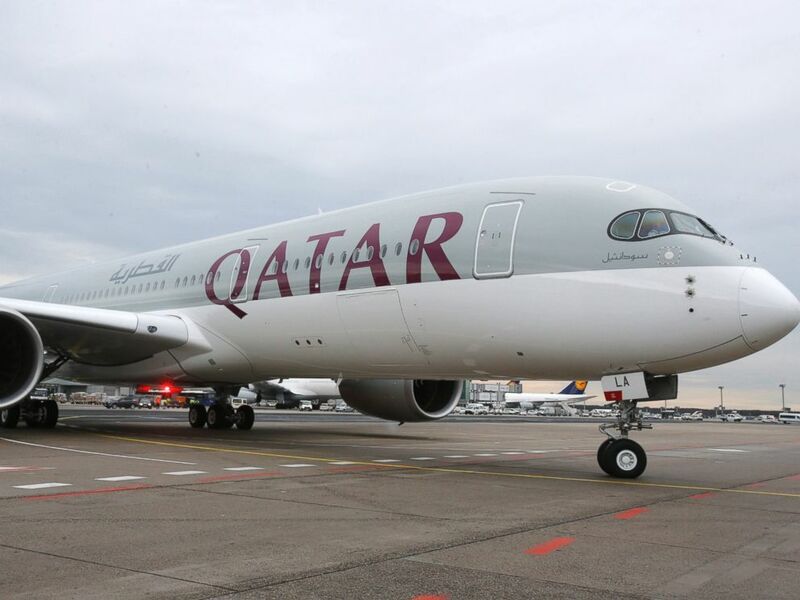 In this Jan. 15, 2015, file photo, a new Qatar Airways Airbus A350 approaches the gate at the airport in Frankfurt, Germany. The company says about 44 percent of its workforce consists of women and claims to be the first airline to employ female pilots and engineers. Al Baker’s initial remarks, which he said were a joke, contrast with efforts by many international airlines who have launched initiatives to diversify the predominantly male aviation industry. Al Baker clarified his position in an interview on Tuesday, before the company issues its statement.